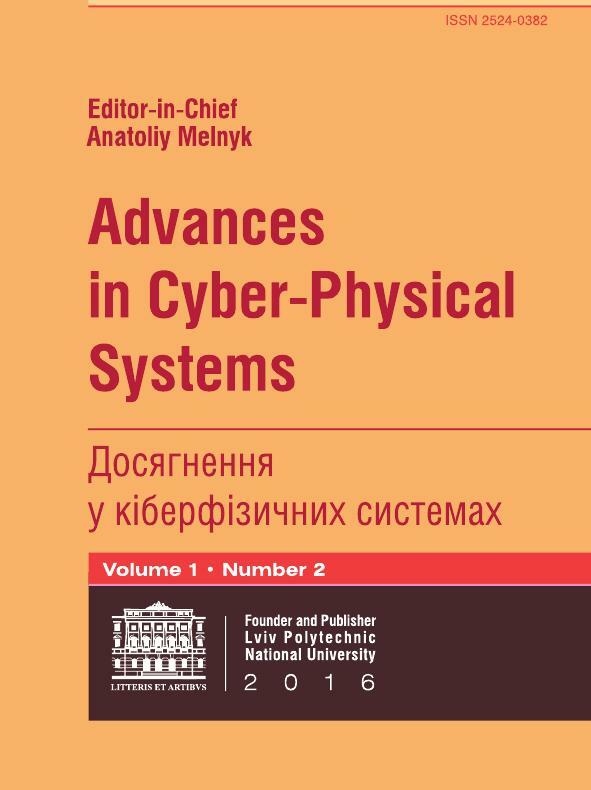 An Editorial Board welcomes the researchers to submit manuscripts to the Advances in Cyber-Physical Systems (ACPS) Journal that offers an open-access option and fast processing times. The Journal is a peer-reviewed open access scientific journal and is published by the Lviv Polytechnic National University, Ukraine. The ACPS publishes timely, novel and high-quality recent results that advance the state of the art and practice in Cyber-Physical Systems, including theoretical foundations, system modelling, simulation, analysis and synthesis techniques, architectures and operating systems for CPS, embedded, high-performance, reconfigurable and self-configurable computer systems architecture and design, measurements, instrumentation and data acquisition systems, wireless sensor networks, digital signal and image processing, artificial intelligence, information security, automation control and mechatronics in CPS, mobile and distributed CPS, CPS applications. The ACPS accepts original articles in areas of its scope, including technical contributions, short communications and novel surveys. Proposals for special issues in cutting-edge and newly developing areas of cyber-physical systems are encouraged, and should be discussed with us. The Editorial Board of the Journal is guided in its work by international ethics of scientific publications and maintains a policy of open access. All articles submitted to the Editorial Board, on a mandatory basis are reviewed and checked for plagiarism. The journal is published in English twice a year.